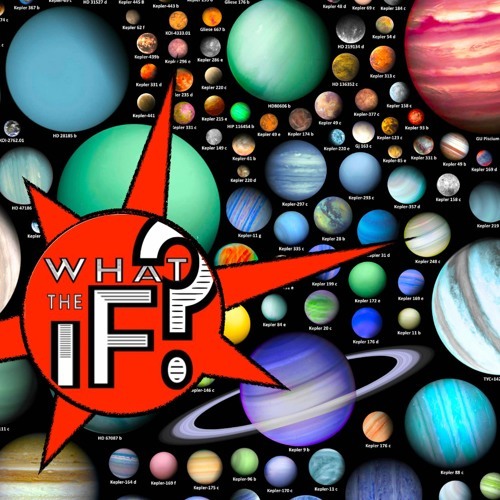 67 - KEPLER'S Planets & EGOMANIACAL Mathematicians! by What The If? This week, the ground-breaking, sky-breaking, star-breaking, NASA telescope, Kepler, got arthritis and, creeeeaaaaaakkkk.... slipped into a well earned and well deserved retirement, now free to lounge about forever doing the backstroke and sipping martinis among the galaxies. But if you think THAT sounds like a PARTY (!) wait until you hear all the classes clinking and whips cracking and bottles popping that went on in the REAL HISTORY of KEPLER's namesake... and his crowd of rowdy astronomers. A very, very, VERY colorful cast of characters in this time traveling episode through the mists of SCIENCE history! Users who like 67 - KEPLER'S Planets & EGOMANIACAL Mathematicians! Users who reposted 67 - KEPLER'S Planets & EGOMANIACAL Mathematicians! Playlists containing 67 - KEPLER'S Planets & EGOMANIACAL Mathematicians! More tracks like 67 - KEPLER'S Planets & EGOMANIACAL Mathematicians!